Disney has released another sneak peek of its upcoming movie “Planes,” a 3D animated comedy adventure featuring a plane named Dusty who has dreams of competing as a high-flying air racer. The problem is that Dusty is not built for racing and he is also afraid of heights – forcing him to turn to a seasoned naval aviator for help in qualifying to take on the defending champ of the race circuit. The latest release date for “Planes” (at least in US theaters) is August 9th. So I guess we will have to wait until then to see whether this animation soars with movie goers or crashes hard! Disney has released a sneak peek of its upcoming movie “Planes,” a 3D animated comedy adventure featuring a plane named Dusty who has dreams of competing as a high-flying air racer. However, Dusty is not built for racing and is also afraid of heights – forcing him to turn to a seasoned naval aviator for help in qualifying to take on the defending champ of the race circuit. Planes is actually a spin-off of the 2006 animated film Cars (and the 2011 animated sequel Cars 2) plus its intended to be the first film in a trilogy; but while Pixar Animation Studios was the production team for Cars, Planes will be produced by DisneyToon Studios. Disney’s “Planes” is set to take off in US theaters in August. So I guess we will have to wait until then to see if Planes will soar or quickly crash back to earth at the box office with a thud! Bonhams has issued a press release to announce they will auction off the 1929 De Havilland DH 60GMW Gipsy Moth bi-plane flown over the Kenyan savanna by character Denys Finch Hatton (played by Robert Redford) in “Out of Africa” – the seven-time Oscar-winning 1985 film. Moreover, the aircraft is in excellent condition with a permit to fly and it still has its yellow-and-black livery seen in the movie with the registration G-AAMY in homage to pioneering English aviatrix Amy Johnson. In the movie, character Finch Hatton would take Baroness Karen von Blixen-Finecke (the real name of the book’s author, Isak Dinesen), played by Meryl Streep, flying over her farm and other parts of Africa (Dinesen herself would describe the flights as “the most transporting pleasure of my life on the farm”). However and when her affair with Finch was likely over for good, he is killed when the Gypsy Moth crashes after takeoff at the Voi aerodrome. The Gipsy Moth itself measures 24 ft long by nearly 9 ft high (7.3 meters by 2.7 meters) with a 30ft (9 meter) wingspan and its capable of a maximum speed of 105 mph (169km/h). It will go on sale at the Bonhams auction during Rétromobile week (from February 6-7th) at the Grand Palais in Paris where bidding is expected to be in excess of €150,000 (£120,000 or $180,000). What are the best aviation movies of all time? Scott Spangler, the blogger behind Jetwhine, has written a great post listing some of his favorite aviation movies but we thought it would be a good idea to expand on what he wrote by mentioning some of the best aviation films of all time by genre. Military aviation has been a movie topic since the silent film era with Wings, a film about World War I aces, actually being the first Academy Award winner for Best Picture. 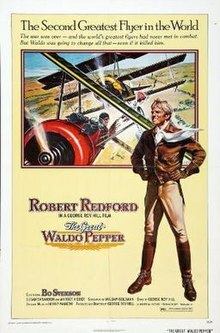 Moreover, there have been a couple of movies about the Red Baron (1971 and 2008) and even a movie called the Revenge of the Red Baron where the famous ace returns in a toy plane to kill the ace that shot him down. 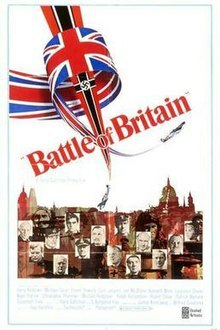 World War II inspired a wave of classic aviation movies like Flying Tigers, Tora Tora Tora, The Bridges at Toko Ri, Thirty Seconds Over Tokyo and Above and Beyond but British aviation history buffs should check out The Battle of Britain which dates from the late 1960s and was filmed in Spain because they were still using some of the same types of aircraft involved in the battle. After World War II, Strategic Air Command was probably one of the first Cold War aviation movie but it was Dr. Strangelove or: How I Learned to Stop Worrying and Love the Bomb became a cult classic while Toward the Unknown is about the dawn of supersonic flight. And of course one has to mention Top Gun but perhaps a far more interesting movie is Steal the Sky which is based on the true story of an Iraqi pilot who defected to Israel in 1966 – taking a MiG-21 fighter jet with him. Hollywood loves disaster movies and Alive would be a classic aviation disaster film about the 1972 crash of the Uruguayan rugby team in the Andes while The Flight of the Phoenix was a fictional 1965 film (that got remade in 2004) about a crash in the Libyan desert. However, No Highway In The Sky is unique because it was a 1951 British disaster film that seemed to foretell the later de Havilland Comet tragedies. A forgotten commercial aviation movie with a disaster related plot would be the The High and the Mighty which is based upon a 1953 novel by Ernest K. Gann about a real-life trip that he flew as a commercial airline pilot for American Airlines from Honolulu, Hawaii to Portland, Oregon. In the movie, the aircraft suffered engine failure – forcing the crew to choose between a ditching or trying to reach their final destination. I also know that I have seen some movies (perhaps made for TV though) about the aircraft hijackings that occurred in the 1970 or 1980s but I cannot think of the actual film titles. The Great Waldo Pepper about post World War I barnstormers has some of the best aerial sequences you could ever hope for in a film about aviation but High Road to China also includes some great aerial shots as well. And contrary to the film’s name though, it was actually filmed in Yugoslavia. For romance and aviation, Always is a romantic drama directed by Steven Spielberg that’s actually a remake of a 1943 film. Airplane! and Airplane II: The Sequel are absolute classic comedies but a forgotten aviation comedy with a British theme would be Those Magnificent Men in Their Flying Machines. Dating from 1965, the movie is about a British nobleman who hosts an international “flying machine” race from Dover to Paris in the hopes of stealing a few aviation ideas in order to claim the skies for Britannia while his daughter Patricia, who is betrothed to a pilot in the British army, is tempted away by a flight enthusiast named Orvil who enters the contest. Scott could not think of any good general aviation movies and neither can I but he did mention The Other Side of the Mountain. However, I don’t actually recall anything related to general aviation in it but I could be mistaken. With the above aviation movies in mind, are there any that we may have left out? If so, feel free to tell us about them along with what your favorite aviation films are.